Posted by Sam Smith on Wednesday, August 22nd, 2012 at 8:42am. 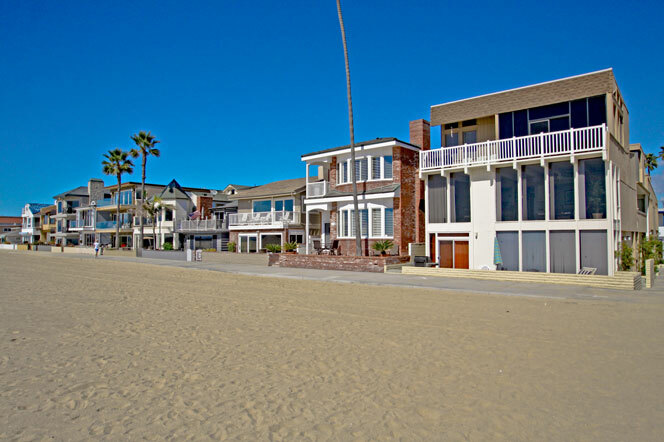 Newport Beach has an abundance of beach front properties and can best be found around the Newport Beach Pier area. These homes located near the public boardwalk where miles of beaches sits in your own backyard. If you are looking for a beach front condo in the Newport Beach area then we recommend the Balboa Peninsula neighborhood. Here you will find condos located near the sand situated between the Pacific Ocean and the Newport Bay next to the Balboa Island Ferry. The majority of beach front property will be detached single family homes so contact us for your specific needs.. In 2012, we have seen 15 numbers of sales for beach front homes as low as $1,650,000 with the inventory of these types of properties at historic lows. We truly believe that Newport Beach has the best values for beach front property, typically cheaper than neighboring beach towns of Laguna Beach and Dana Point where beach front properties start around $3 million dollars and up. If you are looking for a Beachfront condo or home in Orange County then your best bet is Newport Beach!